Naturally intimidating to many, horses are large and powerful. In a safe environment this can create an space to overcome fear and develop confidence. Working alongside a horse, in spite of those fears, creates an opportunity for insight when dealing with other intimidating and challenging situations in life. Horses being perceptive sensitive creatures, they reflect/mirror things going on in our lives. 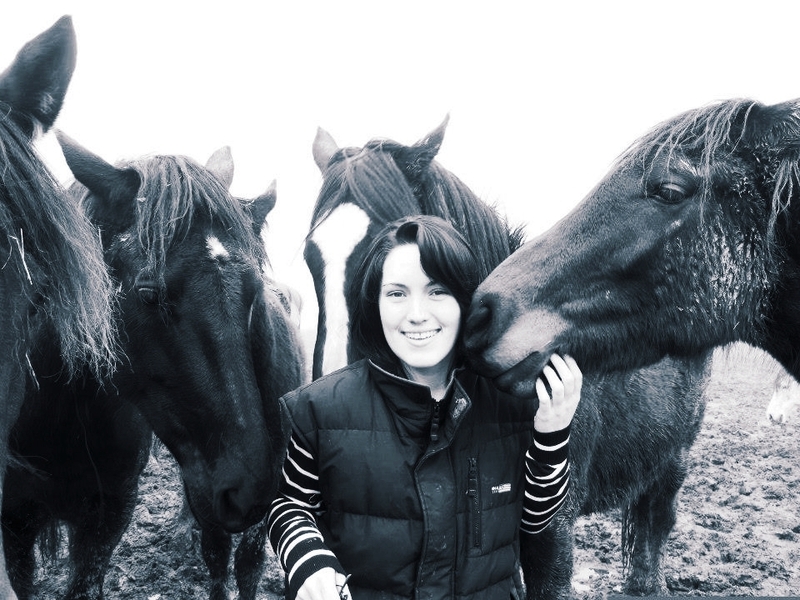 The process is not always about interacting with the team, although this will happen at times, but its rather allowing you to be with the horses, to experience, explore, problem-solve, discover, be creative, gain insight and experience practical applications of what you are learning in the moment. With this, they start responding to us in familiar ways reminding us of other people and things in our life. It is through this they become metaphors (symbols) providing us the opportunity to work on ourselves in relation to those aspects of our lives. Horses, as well as humans, are social creatures and with that comes a hierarchy, different dynamics and roles within the herd. to find new insights and life skills. "My experience at Vanora is one that will stay close to my heart. The ponies were extremely patient and their presence made me feel at ease. Overall the experience enabled me to recognize my individual conscious and un-conscious behavioural patterns, which I can now address in daily activities. The responses and interactions from the ponies was truely mesmerising. Esther and Sybill are lovely individuals whom I felt extremely guided and secure within the session. I would throughly recommend Vanora!" " My morning spent at Vanora as a part of Mental Health Awareness Week has stayed with me for some time after, and I have continued to think about my time with Sybill, Esther and the herd. What a beautiful place! The horses are a great collection of personalities and being along side them in an intuitive, wordless way was very powerful. Problems and distortions can be reflected back in their company,then fade away in such acceptance and simplicity. I highly recommend this experience to others who are seeking self acceptance and healing and I was very grateful for the experience".